I’ve just spent the evening messing around with Vue 7. Nothing really to show from tonight but I made the yet to be titled picture above last night. I’ve resized it for the web from a larger, print quality render and cropped it a little too. 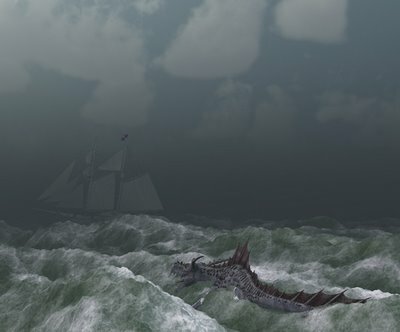 The ship is from Cornucopia 3D and the Water Dragon from Daz. Vaguely inspired by my long since finished nautical Ravenloft campaign.